Engine: Chevy 400 Sm. Blk. 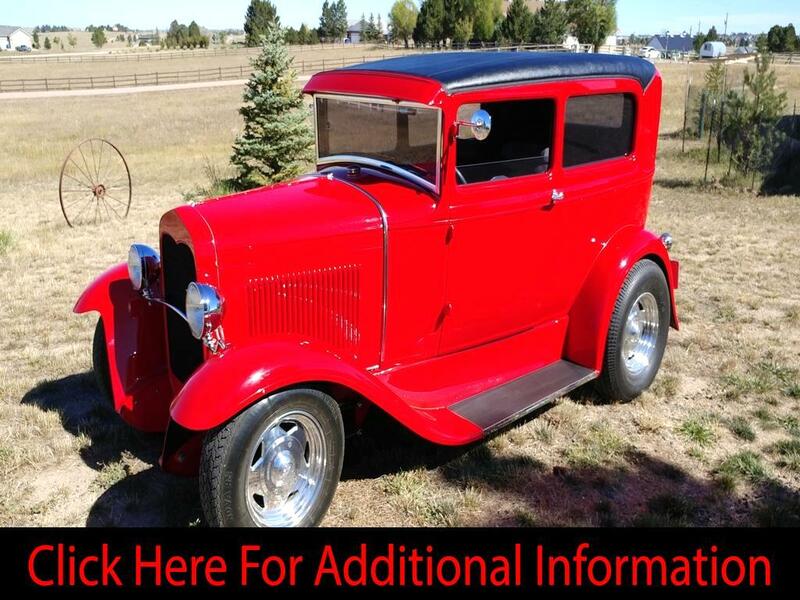 1930 Ford Model A 2 Door Sedan Hot Rod, 400ci Small Block Chevrolet Motor w/12,200 miles Bored 30 Over w/Spread Bore Holly & Headers w/Glass Pack Exhaust, 350 3-Speed Turbo Auto Transmission, Chevy Camaro 388 10 Bolt Rear End, Custom Tube Frame, Steel Body w/Fiberglass Fenders, Custom Vinyl Top. Front Disc Brakes & Rear Drum, 15 Gal. Gas Tank, VDO Gauges, Gray Cloth Interior, Centerline Wheels & Novars Steel-Belted GT Radial Tires. Tinted Windows & Kenwood Cassette Stereo. 3rd Owner Past 19 Years, Always Garaged, some very Minor Cracks & Rock Chips in the Paint but Otherwise the car is in Beautiful Condition and Runs Exceptionally Well. Owner has Clear Title and will Consider a Possible Trade for a 1955,56 or 57 Chevy Pickup.